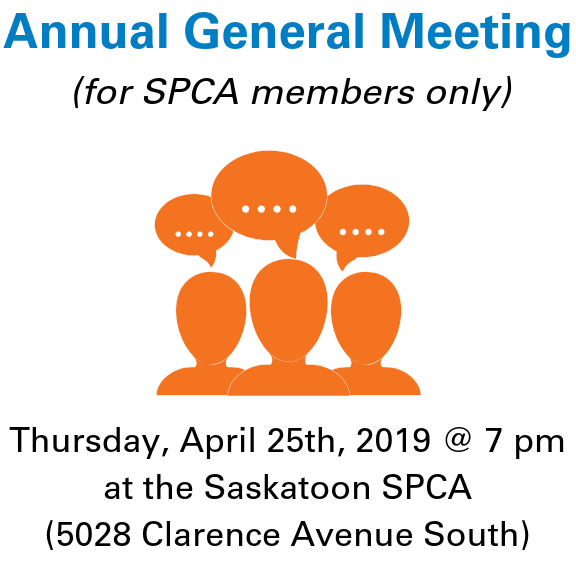 Please note that the Saskatoon SPCA will be closed on Friday, April 19th for the statutory holiday. Regular open hours will resume on Saturday. We apologize for any inconvenience this may cause. If you have found an animal running at large, please call Saskatoon Animal Control at 306-385-7387. If you have an emergency, please call 306-668-5757.